I’m definitely one of those sappy people who likes to look back and reminisce from time to time… and seeing as how we’re celebrating the end of 2018 very shortly, what better time to pour out my heart for you? Two years ago, when I was working full-time as a labor and delivery nurse, sleeping between day shifts and night shifts and middle of the night feedings for my my then-newborn son, I would NEVER have dreamed Sara June Photography would grow into such a blessing in a couple (very) short years! Since then, I’ve found my “people”: those of you who are in LOVE (not just in love, but in LOVE! ), women who want to celebrate themselves, and sweet brand new babes. I’ve learned SO much - seriously, so so so much - from my clients, from mentors, from conferences, from webinars, and from my family and friends. I know that I am BEYOND blessed to have a job like this that I get to meet the most amazing humans with the most beautiful stories and they trust me to help their stories shine bright… and who trust my wisdom and training to print their photos for their grandchildren to ooh and ahh over many years in the future. Guys, I’ve come a long way! 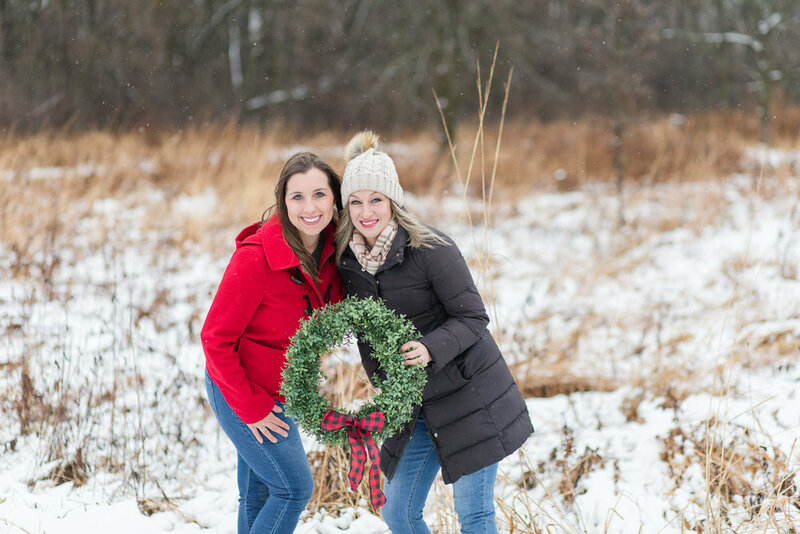 I’ve added to the Sara June family - meet Lauren, if you haven’t already (she’s a seriously amazing assistant who saves my sanity on a daily basis) - and have found such joy in helping another mom find a work/life balance. When I was working a full-time job at the hospital, there was no work/life balance for me… I would bring home stressful work politics and I had to work weekends, night shifts, holidays. I wasn’t satisfied with my life, so I decided to take matters into my own hands and shape my own dream life. You can see why it’s important to me to do the same for anyone who joins my team. Because people matter and kindness is king! All of this to tell you: both Lauren and I want to wish you the very happiest of holidays and a joyous new year! From the bottom of my heart, I also want to thank you for being here with me as Sara June Photography stretches, morphs, expands, and learns. I truly, TRULY value your friendship and support more than you know. Creating friendships with my clients is such a blessing… and it’s a blessing that I can say I have. I am eternally grateful. Happy Hannukah, Merry Christmas, Happy Solstice, Happy Kwanzaa, Happy New Year, Happy Everything!